1MG Internship Registration Link Click Here . Webonise Lab Campus Drive Registration Link Click Here . Tech Mahindra Off Campus Drive Registration Link Click Here . 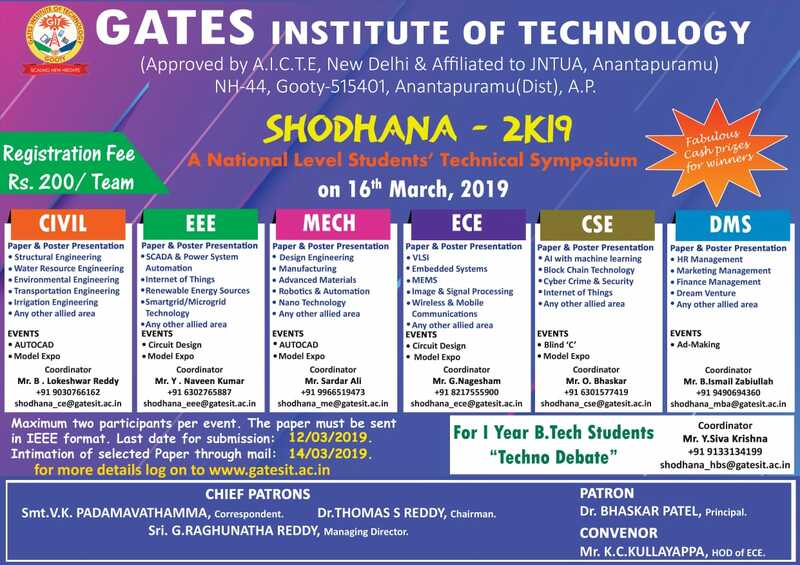 One Day National Level Technical Symposium SHODHANA-2k19 on 16/04/2019 For more details Click Here . Triveni Turbine Limited Campus Drive Registration Link Click Here . Doowon Climate Control India Pvt. Ltd Campus Drive Registration Link Click Here . Johnson and Johnson 3 Address Code Hackathon Registration Link Click Here . Syntell-2019 Recruitment drive Registration Link Click Here . Apollo Munich Recruitment drive for MBA Registration Link Click Here . TCS Recruitment drive for MBA Registration Link Click Here . Cyient Recruitment drive Registration Link Click Here . Talent MBA Internship 2019 Registration Link Click Here . 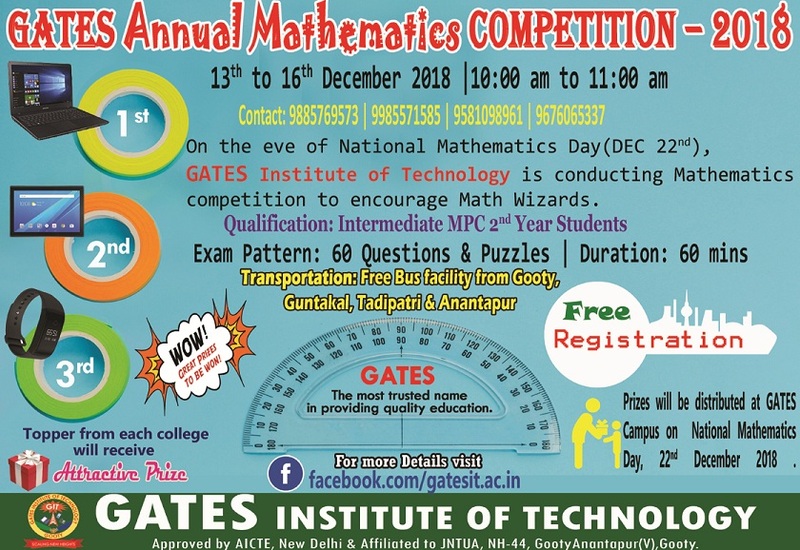 Maths Annual Competition 2018 Poster Click Here . Wipro Campus drive Registration Link Click Here . TCS InfraMind Contest Registration Link Click Here . Finathon Contest Registration Link Click Here . Our Students P. Bala Sai Naik from EEE and M. Zainab Siddiqua from ECE had shortlisted for Prathiba Award for the Academic Year 2017-18 . CodeNationCoding challenge "CodeAgon" Registration Link Click Here . TCSMock Test Link Click Here . TCSCampus drive Practice Test Registration Link Click Here . Texas Instruments DrishTI contest Registration Link Click Here . Dassault Systemes AAKRUTI-2018 Registration Link Click Here .